Group sessions are held on Friday evenings at 6:30 pm. 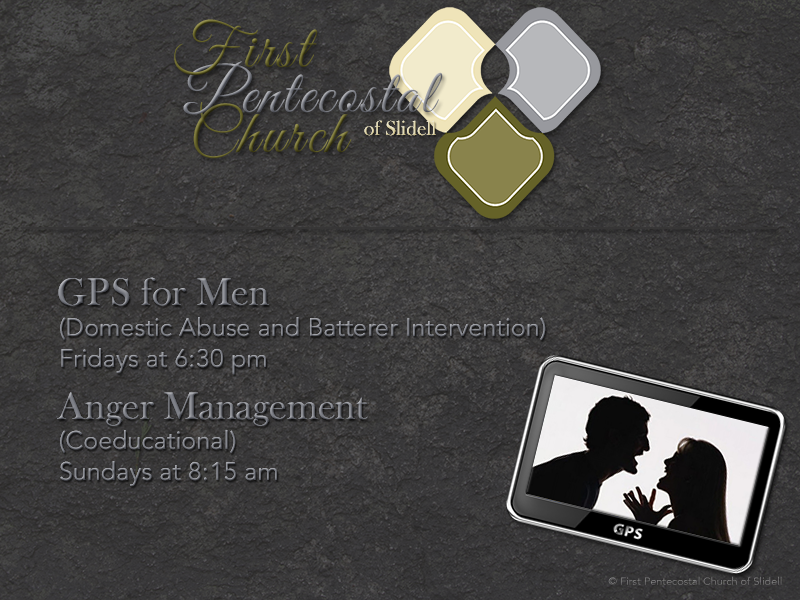 Location is First Pentecostal Church, 388 Robert Road, Slidell, LA 70458. (985) 643-8760. Students must complete 27 weeks of group sessions plus an intake and exit interview session, making it 29 weeks total. The student is required to sign a contract outlining class rules and expectations. Students may only miss four classes and those four classes must be made up. If students miss more than four lessons they are required to start the program all over. Our class size is limited to 20 people. Class fees are $20 per session. Students are given a certificate of completion when complete. We reserve the right to dismiss any student/offender from the program for not following program instruction or guidelines.